GROW THE #CREATIVEWEIRDO FAM! SUBSCRIBE! : bit.ly/mrkateyoutube Do your house-hunting homework (it’s fun, I promise)! To learn more visit www.c21adulting.com. #WhereDoIBegin Paid promotion for Century 21 Real Estate. 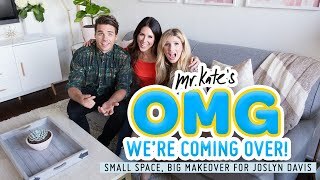 Since we reached 1 million subscribers, one of those lucky people is going to win a $10,000 room transformation and their own episode with Mr. Kate! That woman's voice!! Sounds just like Cardi B!! No way. Your house is so much better looking than this one. Yours has character, this one is so impersonal that it looks like a movie set. are you born on 4th june? I love the way Kate says, "Nothing is perfect." You guys set OMG Relationship GOALS!!! Lilac looks like Mel B! Just wondering but why is some of the pictures blurred out??? Mr. Kate!! wow, I love this channel but besides the point, My father works with century21 and he is his own real estate agent and I was wondering if maybe you could send me some information on the house because my dad and my family is looking for a new house so I was wondering if maybe you could email me!!! If I end up contacting you I will tell you little more about me but I really love your videos and I really hope you can help me out! What was the blurred out stuff? I... NEED.... THAT ..... HOUSSSSEEEE!!!!!!! this looks like the house where mikey murphy shot one of his short films? Grrrrrrr i like you kate ...i love watching your show i love your home make over..diy your art i really love it..from philippines. Why did they blur the picture what is it of ??? Omgg your outfit is so vintage Kate!! That home is gorgeous but yours is STU-UH-NNIINNGG!! And, one of a kind. Love you guys! Hahaha, you guys are ridiculously cute, funny, and lively! Are the paintings blurred for some reason? why was the painting censored/blurred? lol i was gonna check when they posted this and i literally said "omg they posted it on my birthday!!!!!!" No..I would take Joey's and Kate's house before this one. This one doesn't have any character. Sierra Furtado said in a vlog that she would like your help. She and her fiancé just bought a house. whr is the next episode! CAN YOU PLZZZZZZZZZZZ CONTINUE THE SERIES ITS SO GOOD! So...When can I move in? 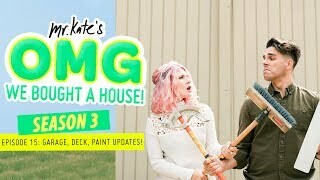 Mr.Kate are you guys going to do another season of OMG We Bought A House? 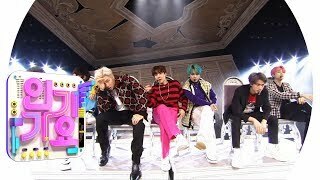 We have another episode coming up soon! The house is amazing but the interior is too chic and clean. I prefer your house with its cozy design. 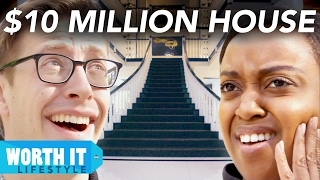 i have been binging all three seasons of we bought a house today and my friend texted me to go to run errands and i said "can't, hanging out with joey and kate"
I just spent 5 hours (1:00AM -5:00AM) watching this series from the beginning... I can't wait for more. 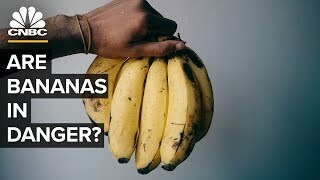 I'm brand new to this channel, but have they tried a video comparing how much you can buy depending on the state/area? I need a new omg we bought a house!! !